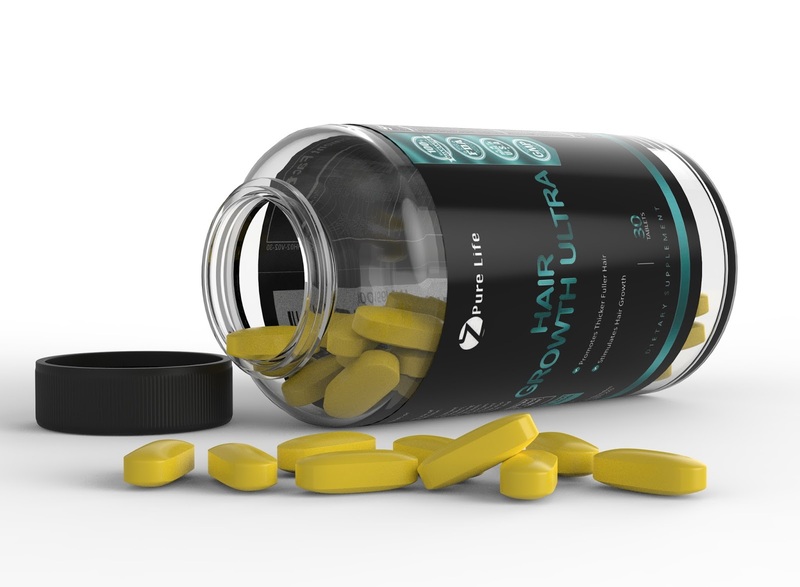 ULTIMATE BEARD GROWTH SUPPLEMENT: Your daily intake of this powerful formula will fuel your hair with Biotin, Vitamin A, Vitamin C & more to help you have a thicker, fuller, & healthier hair. BIOTIN BOOST: Do you want a bigger, stronger & smoother better looking hair? If so, a B-Complex vitamin called Biotin is just what you need. Not only does it aid in the prevention of hair loss, but it can also give you a natural boost in your rate of hair growth, restoring glow, elasticity & density. NATURAL HYDRATION: Hair growth isn't the only benefit, as this powerful supplement also helps keep the skin on the scalp and face hydrated, soft and smooth while it stimulates growth. Translation, No more itchy, hair dandruff or irritation. MADE IN THE USA: Made in the USA at a GMP & FDA certified facility under strict quality controls to ensure it’s powerfully & expertly-crafted. As a result, you get the highest quality supplements available. 100% MONEY BACK GUARANTEE: We're so confident that you'll love Zpure Life Hair Growth Ultra that we'll refund every penny if you don't like it from manufacturer! What do you have to lose? Get the hair, you deserve!